Blue OG Sherbet from The Plug Seedbank is a feminized marijuana seed that has its origin in the crossing of a Blue Sherbet and a Fire OG. The result is a great Sativa dominant variety of cannabis and is characterized by being one of the most powerful OG offered by this catalog. 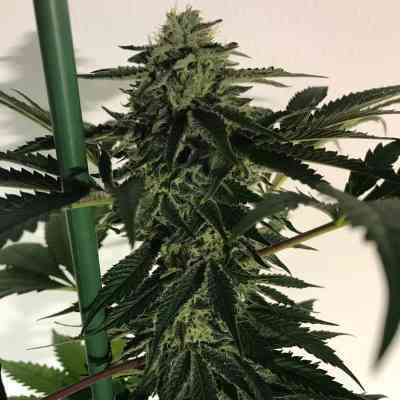 The Blue OG Sherbet plant is easy to grow. 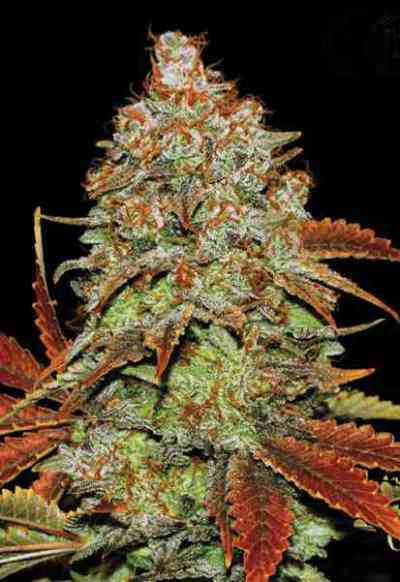 It has a short flowering time of eight weeks, suitable for outdoor cultivation in almost any climatic region. In indoor cultivation, large yields in SOG can be expected, although the use of a good anti-odour system is recommended. It surprises with a world of colours and flavours that are a gift for the senses: resinous buds with reddish pistils that look like fire and mix with the blue tones inherited from its Blue genetics. Its taste is delicious, clear touches of lemon and berries are observed, very fresh. The effects are very powerful and relaxing, to disconnect, to watch television or to get plenty of rest, quite a spectacle!